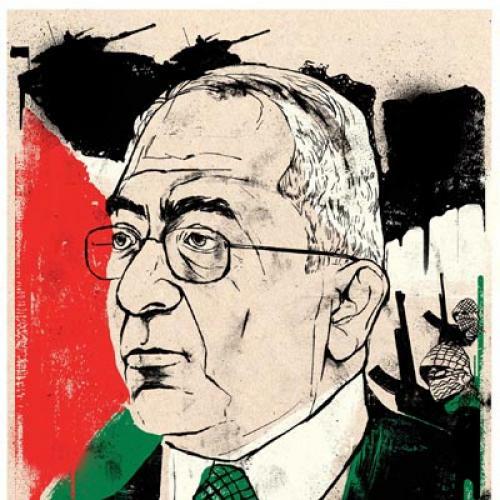 If you were to pinpoint one moment when it looked as if things just might work out for Salam Fayyad, the Palestinian prime minister, it would probably be February 2, 2010. That day, Fayyad addressed the annual Herzliya Conference, a sort of Israeli version of Davos featuring high-powered policymakers and intellectuals. It is not a typical speaking venue for Palestinians; yet Fayyad was warmly received. He sat in the front row next to Israeli Defense Minister Ehud Barak, who—just before Fayyad ascended the stage—whispered into his ear and grasped his hand in what appeared to be a show of genuine affection. When Fayyad reached the blue and white podium, he garnered an enthusiastic round of applause from the hundreds in attendance. Standing five feet five in a charcoal suit with glasses, frog-like features, and thinning salt-and-pepper hair, Fayyad didn’t appear all that charismatic—and he didn’t sound charismatic, either. He spoke in jargon-laced English with a deep nasal monotone. But what he had to say was dramatic—even revolutionary. Six months earlier, with decades of negotiations and armed conflict having failed to produce Palestinian independence, Fayyad had proclaimed a bold new strategy: Instead of waiting for Israel to grant them a state, the Palestinians would build it themselves—brick by brick, institution by institution. Fayyad’s “state-building program,” as it was known, had earned praise from the likes of Israeli President Shimon Peres (who called him the “Palestinian Ben Gurion”) and The New York Times’ Tom Friedman (who coined the term “Fayyadism” to describe “the simple but all-too-rare notion that an Arab leader’s legitimacy should be based not on slogans or rejectionism or personality cults or security services, but on delivering transparent, accountable administration and services”). Even some right-wing Israeli politicians had spoken favorably of Fayyad, especially when comparing him with Yasir Arafat or Hamas. More significantly, polls showed that Fayyad was winning over Palestinians—and it was easy to understand why, since his policies were yielding results. With the world still in the throes of the global financial crisis, the West Bank economy had enjoyed two years of double-digit growth. Unemployment had declined as thousands of Palestinians went to work building new schools, health clinics, and government offices. Cities like Ramallah and Jenin, which became war zones during the second Palestinian intifada, had begun to assume an air of normalcy as masked gunmen gave way to newly trained Palestinian police. At the time, negotiations had been frozen for more than a year. Yet Fayyad boldly predicted that his program would lead to the creation of a Palestinian state by August 2011. “By then, if in fact we succeed, as I hope we will,” he said, “it’s not going to be too difficult for people looking at us from any corner of the world ... to conclude that the Palestinians do indeed have something that looks like a well-functioning state in just about every facet of activity, and the only anomalous thing at the time would be that occupation, which everybody agrees should end anyways. That’s the theory.” As Fayyad finished his speech—saying that his people aspired “to live alongside you in peace, harmony, and security”—several audience members stood up to applaud. For a moment, anyway, just about everyone seemed to be rooting for Salam Fayyad. LIKE MOST PALESTINIAN leaders, Fayyad spent much of his adult life outside the West Bank—but the similarities end there. While Mahmoud Abbas—the Palestinian Authority’s (P.A.) current president and Fayyad’s boss—followed Arafat and the Palestine Liberation Organization (PLO) from Jordan to Lebanon to Tunisia during the group’s terrorist days in the 1970s and 1980s, Fayyad was busy earning a series of degrees: getting his B.A. from the American University in Beirut, before moving to Austin, Texas, where he got an MBA from St. Edward’s University and a Ph.D. in economics from the University of Texas. Palestinian politicians, like Israeli ones, tend to be tough guys. Fayyad, by contrast, is bookish and nerdy. He has a habit of nodding—almost bowing—when he shakes hands with people. The Israelis also took a liking to Fayyad, who—in the rare moments when he spoke publicly about the conflict—unambiguously condemned terrorism against Israelis. Then–Israeli Prime Minister Ariel Sharon “viewed him very seriously,” recalls Danny Ayalon, a former Sharon adviser who is now Israel’s deputy foreign minister. “He saw him as a nation-builder, as opposed to the rest of the Palestinian leadership that were nation-destroyers and wanted to destroy the state of Israel.” Fayyad even became friends with some high-ranking Israeli officials, including Sharon’s chief of staff, Dov Weisglass. At the wedding of Weisglass’s daughter, Fayyad sat next to Sharon during the ceremony and struck up a long conversation. In June 2007, the struggle between the two factions—then serving in a tenuous unity government—exploded into all-out civil war when Hamas seized control of the Gaza Strip. In response, Abbas dismissed the Hamas prime minister and picked Fayyad to lead an emergency technocratic government. Abbas “thought that to maintain national unity and to maintain hope of reconciliation, that the prime minister should not be Fatah,” Saeb Erekat, the chief Palestinian negotiator and a close Abbas confidant, told me. Fayyad was a logical choice in another respect: He was uniquely qualified to restore the international aid and Israeli security cooperation that had been suspended following Hamas’s election victory. When Fayyad first came into office, Palestinians were still reeling from the second intifada. As bloody as that period was for Israelis—some 1,000 died in suicide bombings and military campaigns from 2000 to 2005—it was even more so for Palestinians: More than 5,000 died; the P.A.’s economy, not to mention its infrastructure, was devastated; and lawlessness reigned in the West Bank and Gaza Strip. The initial years of Fayyad’s premiership came at a rare moment when the agendas of the United States, Israel, and the P.A. aligned. In 2006, after Sharon suffered a stroke, his successor, Ehud Olmert, established a center-left government on a platform of withdrawing from most of the West Bank. As Olmert imposed a crippling siege on Hamas-run Gaza, he saw it in his interest to strengthen Fayyad and Abbas. Not long after Fayyad became prime minister, he and Israel cut a deal: Israel would grant amnesty to fugitives from the Al Aqsa Martyrs Brigades, the militant Fatah faction, provided that they lay down their weapons. In the West Bank, Israel also scaled back its aggressive campaign of assassinating Hamas leaders as the P.A. cracked down on the group on its own. Fayyad, in concert with Abbas, purged hundreds of imams and teachers with Hamas sympathies from the P.A. payroll. And the Dayton security forces arrested scores of Hamas operatives. In some respects, they did. Faced with a transformed West Bank security environment, Israel dramatically reduced the number of checkpoints and other barriers to Palestinian mobility and allowed P.A. forces to deploy in new areas. But, on other fronts, Israel was less forthcoming. Part of it had to do with the Oslo Accords. Under Oslo, the West Bank was carved up into noncontiguous patches assigned either to Area A (where the P.A. has civil and security control), Area B (where Israel has security control and the P.A. has civil control), and Area C (where Israel retains full control). About 95 percent of Palestinians in the West Bank live in Areas A and B, but Area C constitutes roughly 60 percent of the territory. Examples of where this would pose problems for a state-building agenda are not hard to come by. Less than a year after Fayyad took office, the P.A. partnered with private developers on the construction of a new town of 40,000 called Rawabi. The footprint was completely in Area A, but the proposed road connecting the town to Bir Zeit (and, by extension, to the West Bank highway system) ran through Area C, leaving the project’s fate in Israel’s hands. The road was approved this past January—after four years of red tape. On no question did Israel undermine Fayyad as badly as on settlements. Netanyahu, under pressure from the Obama administration, did impose a ten-month settlement freeze in the West Bank in late 2009. Then, for nine months, Abbas refused to join talks, demanding that the freeze include East Jerusalem—which the Palestinians claim as their capital. Ultimately, however, Abbas caved and agreed to return to the negotiating table. In September 2010, at a glitzy White House ceremony featuring Obama, King Abdullah of Jordan, and Egyptian President Hosni Mubarak, Abbas and Netanyahu appeared together to mark the resumption of direct talks. But, shortly thereafter, Israel allowed the settlement moratorium to lapse—and the negotiations quickly collapsed. It was a major blow to Fayyad. “The main criticism of Fayyad,” Ross told me, “is that he’s making the occupation palatable.” With settlement expansion resuming, this criticism stung more than ever. The gambit—which unfolded at the United Nations in September 2011—did not succeed. And, by jeopardizing Israeli cooperation and U.S. funding, it made Fayyad’s job a lot harder. “From Fayyad’s perspective, all the U.N. bid did was rack up a huge tab on his institution-building credit card,” Hussein Ibish, senior fellow at the American Task Force on Palestine, told me. The bill arrived in October in the form of $192 million of frozen U.S. aid and another $100 million in tax and customs revenue that Israel refused to hand over. Faced with a budget crisis, Fayyad was forced to introduce an unpopular program of tax hikes and spending cuts. Fayyad’s bigger problem, however, was the looming prospect of reconciliation between Fatah and Hamas. Following the arrival of the Arab Spring in early 2011, Palestinians in the West Bank and Gaza had taken to the streets to demand a unity government between Fatah and Hamas as a prelude to long-overdue elections. Facing a legitimacy crisis, Abbas obliged, signing a reconciliation agreement with Hamas politburo chief Khaled Meshal on May 5 in Cairo. Soon enough, the agreement fizzled, and, a year later, even after a second agreement, the unity government has yet to materialize. Still, for Fayyad, the prospect of a unity government has become a Sword of Damocles: When and if the two factions ever reconcile, he will almost certainly be out of a job. Resentment of Fayyad, after all, has become one of the few things on which many Hamas and Fatah officials can agree. “I worry about him,” Ashrawi said. “He’s overworked, he’s done so much, and he’s been treated with tremendous ingratitude.” But, to many in Fatah’s old guard, Fayyad is the ingrate. “The fact that he was not referring to Fatah in his successes, and he was not acknowledging the political umbrella that Fatah was granting him, created this feeling of negativity toward him,” one senior Fatah official told me. That negativity has been augmented by the conviction—held by this official and others—that Fayyad isn’t content as prime minister and wants to be president himself. It isn’t a crazy thought. In recent years, Fayyad has shaken more hands, kissed more babies, and cut more red ribbons than any Palestinian official. In a typical week, he takes at least two trips outside Ramallah. “Part of his appeal is that he doesn’t just go to major Palestinian cities, but to refugee camps, places in the Jordan Valley— areas that were generally forgotten by Palestinian officials —while Abbas sits in the Muqata,” George Washington University Professor Nathan Brown, an expert on Palestinian politics, told me. Unlike Arafat and Abbas, who spent decades at the forefront of the Palestinian national struggle, Fayyad lacks nationalist credentials, and he has seized every opportunity to build them. He became a regular presence at the weekly demonstrations against Israel’s security barrier in the divided village of Bil’in. And, after his government instituted a boycott of items made in Israeli settlements—a boycott that infuriated some Israeli officials—Fayyad joined the thousands of volunteers who went door to door handing out leaflets explaining which Israeli products should not be purchased. “YOU HAVE TO understand that Doctor Fayyad likes to answer very long answers,” Fayyad’s foreign press coordinator warned me as we sat in the palatial greeting room outside his Ramallah office on a dreary Thursday morning waiting for him to arrive. It was January, and Fayyad was on his way back from Bethlehem, where he had attended midnight mass for Armenian Christmas. As Fayyad and I sat down on the white sofa in his office—an austere room with (like all P.A. offices) twin portraits of Abbas and Arafat staring out from behind his desk—Fayyad slouched and told me, apologetically, that he was exhausted. “I’m doing [this] on less than two hours of sleep,” he said. Gone was the buoyant Fayyad who roused audience members from their seats at Herzliya. Gone was the unbridled optimist who had predicted less than two years earlier that, in 2011, “the birth of a Palestinian state will be celebrated as a day of joy by the entire community of nations.” In his place sat a man deflated by the hard realities of the conflict. In a sense, circumstances have taken Fayyad back in time—from the prime minister who would lead his people to independence to the finance minister struggling to balance the books. When I asked him whether he’d serve as finance minister in that government, as some were suggesting, Fayyad didn’t mince words: “I do not really view myself as an ATM for the Palestinian Authority.” Fayyad knows that, even as an ATM, he has limits. Congress could suspend aid at any moment. Israel could withhold customs revenue. And, despite his deep reservoirs of good will in Washington and Jerusalem, there is nothing he could do about it. Meanwhile, by all accounts, Fayyad’s state-building project lies in jeopardy. Over the past few months, economic growth in the West Bank has slowed. Unemployment has ticked up. The P.A.’s deficit has soared. And any day, the Hamas-Fatah unity government could arrive, meaning the end of Fayyad’s tenure as prime minister. Yet Fayyad seems to be clinging to any rays of hope he can find. Palestinians, he argued, are beginning to believe in themselves even as they lose faith in everyone else. He also cited some “interesting polls” showing that the Israeli public is well to the left of its current government on final-status issues. Ben Birnbaum is a reporter for The Washington Times. This article appeared in the May 24, 2012 issue of the magazine. * The article originally stated that the Abbas posters with the number 194 were referencing the U.N. General Assembly resolution Palestinians cite as giving refugees displaced during Israel’s 1948 War of Independence the “right of return.” We regret the error.